Beginning at the apex on panel 1E and going out to the end of the East wall, appearing to recede into the earth (numbered 70E - May 25, 1968), then resuming at the end of the West wall, as the wall emerges from the earth (numbered 70W - continuing May 25, 1968) and ending with a date in 1975. Thus the war's beginning and end meet.. The war is complete, coming full circle, yet broken by the earth that bounds the angle's open side and contained within the earth itself. · There are three sets of fathers and sons on the Wall. · 39,996 on the Wall were just 22 or younger. · 8,283 were just 19 years old. · 12 soldiers on the Wall were 17 years old. · 5 soldiers on the Wall were 16 years old. · One soldier, PFC Dan Bullock was 15 years old. 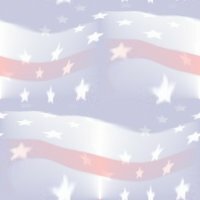 · 997 soldiers were killed on their first day in Vietnam . 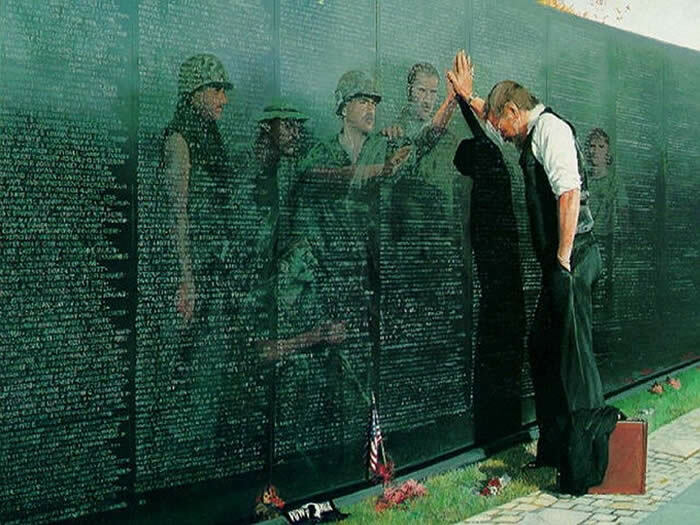 · 1,448 soldiers were killed on their last day in Vietnam . · 31 sets of brothers are on the Wall. · Thirty one sets of parents lost two of their sons. · 54 soldiers on the Wall attended Thomas Edison High School in Philadelphia . I wonder why so many from one school. · 8 Women are on the Wall.. Nursing the wounded. · 244 soldiers were awarded the Medal of Honor during the Vietnam War; 153 of them are on the Wall. · Beallsville, Ohio with a population of 475 lost 6 of her sons. · West Virginia had the highest casualty rate per capita in the nation. There are 711 West Virginians on the Wall. · The Marines of Morenci - They led some of the scrappiest high school football and basketball teams that the little Arizona copper town of Morenci (pop. 5,058) had ever known and cheered. They enjoyed roaring beer busts. In quieter moments, they rode horses along the Coronado Trail, stalked deer in the Apache National Forest . And in the patriotic camaraderie typical of Morenci's mining families, the nine graduates of Morenci High enlisted as a group in the Marine Corps. Their service began on Independence Day, 1966. Only 3 returned home. · The Buddies of Midvale - LeRoy Tafoya, Jimmy Martinez, Tom Gonzales were all boyhood friends and lived on three consecutive streets in Midvale, Utah on Fifth, Sixth and Seventh avenues. They lived only a few yards apart. They played ball at the adjacent sandlot ball field. And they all went to Vietnam . In a span of 16 dark days in late 1967, all three would be killed. LeRoy was killed on Wednesday, Nov. 22, the fourth anniversary of John F. Kennedy's assassination. Jimmy died less than 24 hours later on Thanksgiving Day. Tom was shot dead assaulting the enemy on Dec. 7, Pearl Harbor Remembrance Day. · The most casualty deaths for a single day was on January 31, 1968 ~ 245 deaths. · The most casualty deaths for a single month was May 1968 - 2,415 casualties were incurred.